Probably not as epic as James Cameron’s Titanic, but this Russian flick has its share of vehicles slowly submerging too. A Lada Kalina car drowned in a sinkhole as its owner franticly waited for rescuers to arrive ... but it was never seen again. 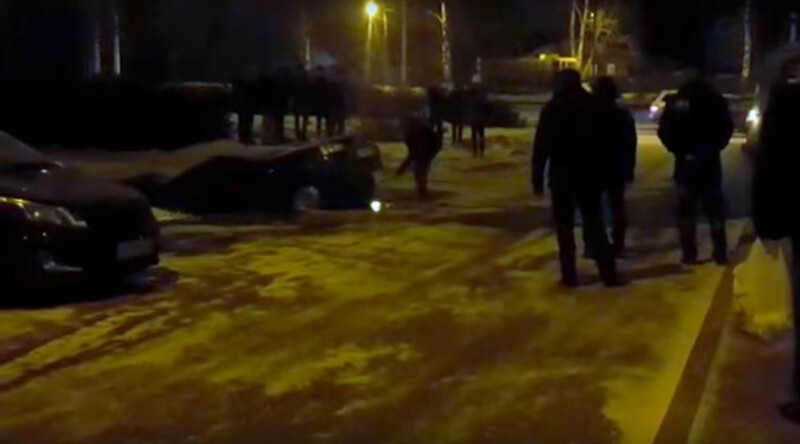 Footage of the car’s descent into muddy abyss of Ufa, a city in the Urals, was uploaded online by an eyewitness, who said by the time rescuers arrived at the scene, the vehicle was “up to its glands” in the water. Local news channel 360 reported that rescue workers drained with pumps the six meter sinkhole but found no car in it. They said it had been carried away by the stream of water that washed over the earth in the first place. The owner of the car told the reporters that she will sue the municipal authorities for damage.